The Remington Ranger Electric Chainsaw/Pole Saw Combo is a two-in-one detachable pole saw that makes it simple to trim hard-to-reach places. It runs on a robust 8 amp electric motor and has the ability to cut off any branch as high as 15 feet overhead. 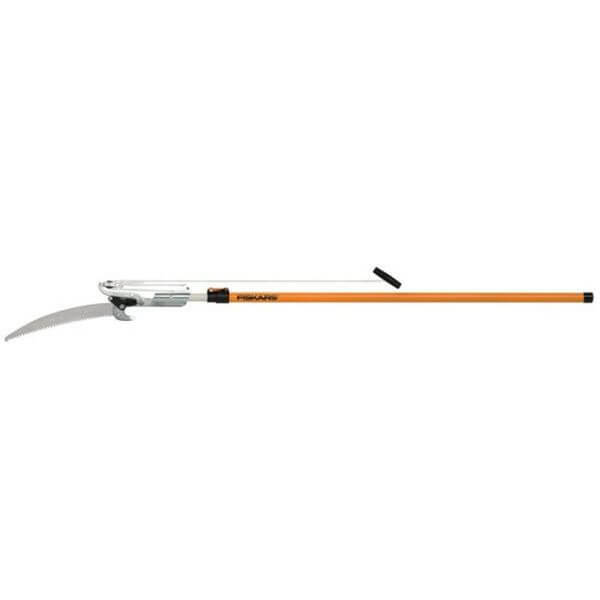 The Fiskars 14 Foot Power-Lever Extendable Tree Pruner is perfect for when you want to cut a high branch without dragging out a ladder. 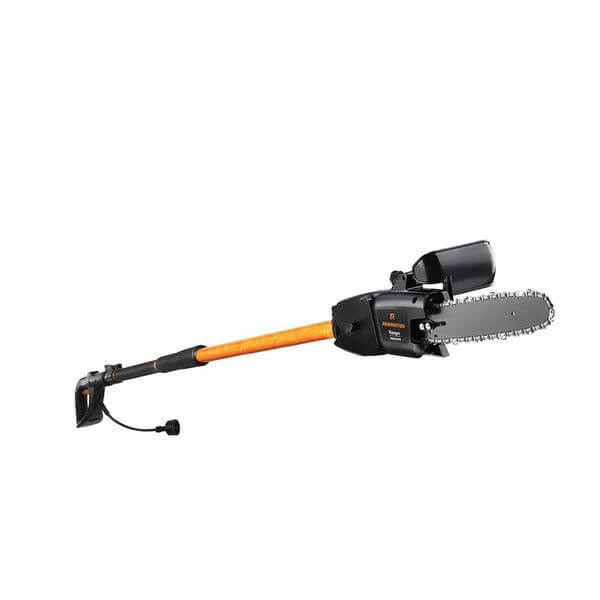 It has a 15-inch WoodZig saw blade that can cut through any thick branch and has a maximum capacity for branches up to 1.5 inches in diameter. 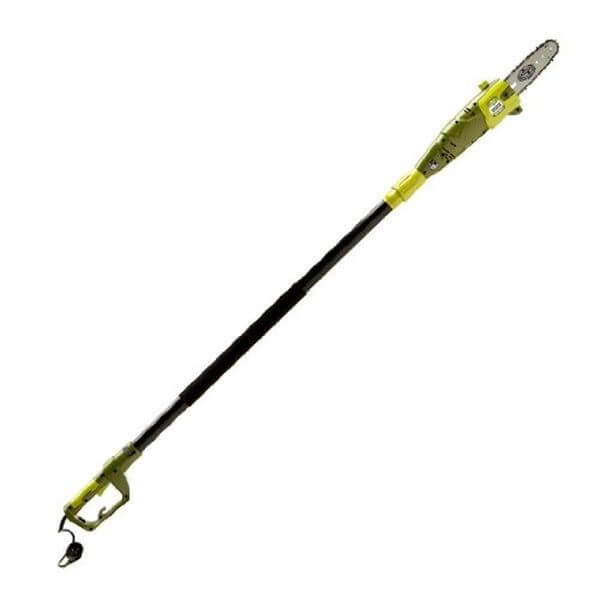 The Sun Joe 8-Inch 6.5-Amp Telescoping Electric Pole Chain Saw is an ideal branch cutter for high limbs and slim logs. It has a telescoping pole that will allow you up to 15 feet of overhead reaching. A robust 6.5 amp motor will let you cut a branch up to 7.5 inches thick. 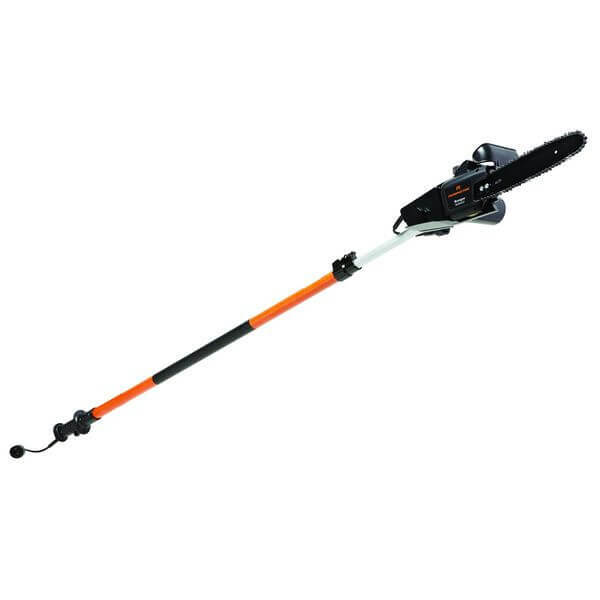 Trim your high branches as far up as 10 feet at a time with the BLACK+DECKER Cordless Pole Saw. 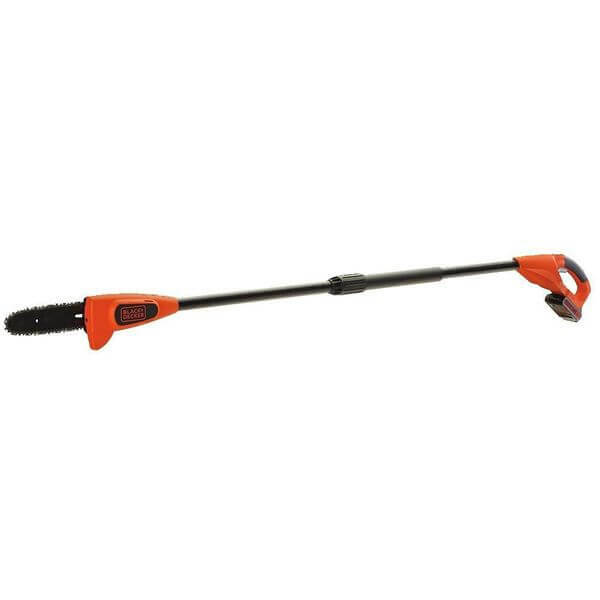 This unit runs on a robust 20-volt MAX lithium ion battery and can make up to 100 cuts of 1.5-inch branches for every full charge it has. The Remington Ranger 10-Inch 8 Amp 2-in-1 Electric Chain Saw/Pole Saw Combo is a two-in-one saw that lets you trim limbs that are as high as 15 feet overhead. It is simple to extend the pole and lock it into place. This unit runs on an eight amp electric motor. 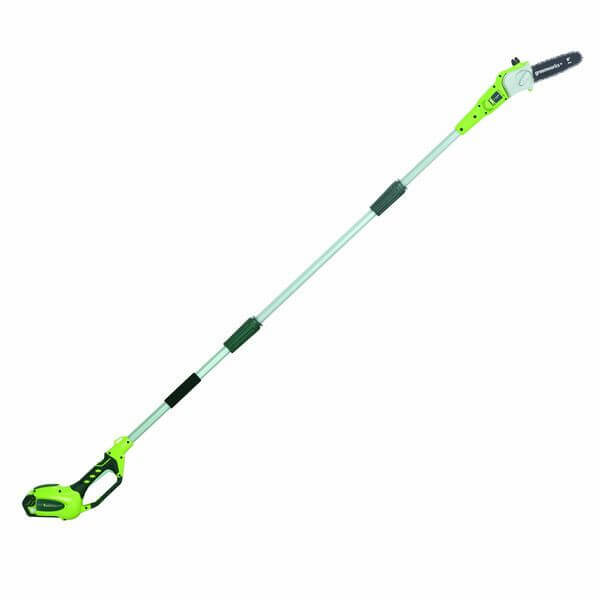 The GreenWorks G-MAX 40V Li-Ion 8-Inch Cordless Pole Saw is a battery-powered branch cutter that has an eight-inch bar as well as a chain to make trimming branches simple. The rod is simple to adjust and can reach as far as eight feet above you.